Coastal areas in Mayo today are preparing to batten down the hatches for the arrival of Storm Callum. 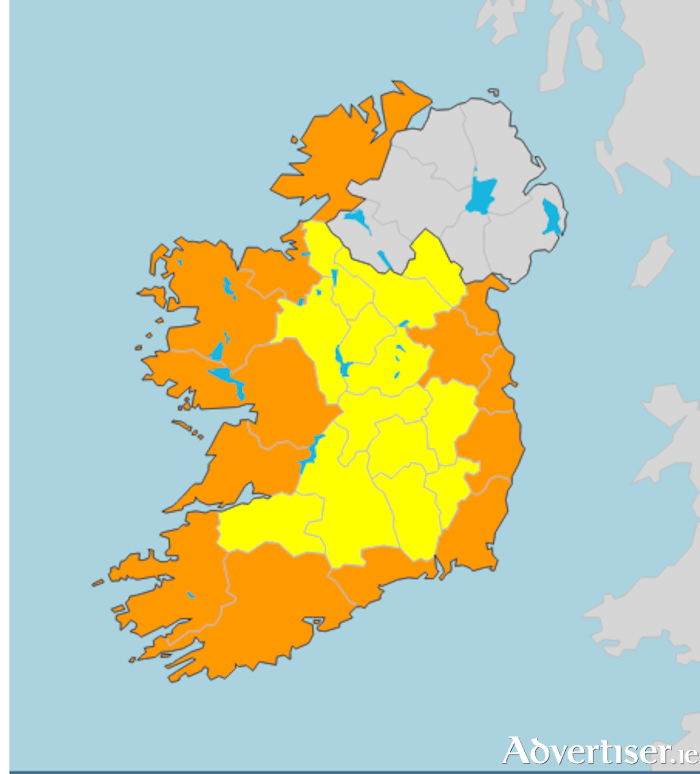 A status orange weather alert was issued for 13 counties including Mayo for tonight, with gusts of up to 130km per hour expected in the county from midnight to lunchtime tomorrow. According to Met Eireann, Mayo is tipped to experience southeast winds veering southwest with gusts generally between 100 and 130km/h, higher in some coastal areas and on high ground. Along with a spell of heavy rain and high tides, a risk of coastal flooding and damage was also flagged. The gusts could pose a risk to life and property, according to Met Eireann, and the status orange warning issued by the forecaster remained valid until 1pm tomorrow. Mayo County Council chief executive Peter Hynes told the Mayo Advertiser today that the council was gearing up for the incoming storm. The council's emergency team met on Thursday morning and would be in regular contact as the situation developed. Mr Hynes added that the council was keeping a particular eye on Crossmolina and Ballina, as both were areas of concern for potential flooding due to high tides. He said the situation was being monitored very closely by the local authority which had crews in place to deal with incidents as they arose.